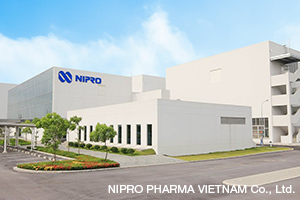 NIPRO Pharma Vietnam Co., Ltd. has started operating in April 2015, to provide pharmaceutical products of Japanese quality at internationally competitive prices. 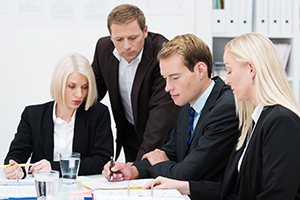 In conformity with the U.S., EU, and Japan GMP requirements and with PIC/S, the company supports the export of products for pharmaceutical companies from around the world, to the Japanese, U.S., European, and global markets. At the plant located in the VSIP industrial complex in Hai Phong Vietnam, Nipro Pharma will deploy production technologies that have been standardized in Japan, with injectables as the largest strength of the company. By producing in Vietnam, where labor costs and energy costs are lower than in Japan, the company will provide pharmaceutical products of Japanese quality at internationally competitive prices. 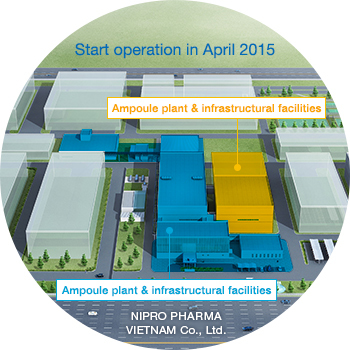 In the NIPRO Pharma Vietnam Co., Ltd., an ampoule plant started operation in April 2015, equipped with an isolator-based filling facility and a packaging facility. Also a vial product plant (solution and freeze-dried) with the same facilities started operation in November 2016. The facilities will be further expanded to enable the production of orally administered drugs and external preparations, in addition to injectables. Production facilities will also be established in accordance with the needs of pharmaceutical companies. GMP that requires prevention of contamination, prevention of human errors, and assurance of quality systems, vary by country and region. In recent years, conformity with PIC/S has also been required for the purpose of establishing globally standardized GMP. Nipro Pharma conforms with the U.S., EU, and Japan GMP requirements and with PIC/S GMP, which enables the production of contract pharmaceutical products to be exported around the world. 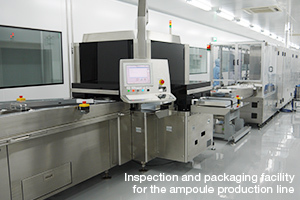 At the Kagamiishi Plant, Ise Plant, and Odate Plant we have been audited by global partners many times as a manufacturer of contract pharmaceutical products for foreign pharmaceutical companies. Based on this rich experience, we provide support for entrance into the Japanese market, including the collection of application data. 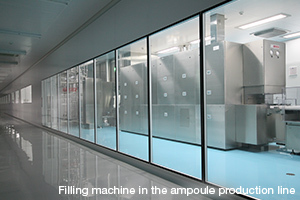 We also have extensive experience in exporting pharmaceutical products consigned by Japanese pharmaceutical companies.